Casual observers of the impacts associated with four recent freezes in Florida's citrus producing areas might be inclined to agree with an assessment by Miami Herald reporters that these freezes had caused the ‘king of citrus’ to be toppled from its throne, enabling Brazil to take its place. Research on the citrus industry, however, reveals that the impacts of these recent freezes only explain part of the story of the interaction between climate variability and the relationship between the citrus industries of Florida and Brazil. 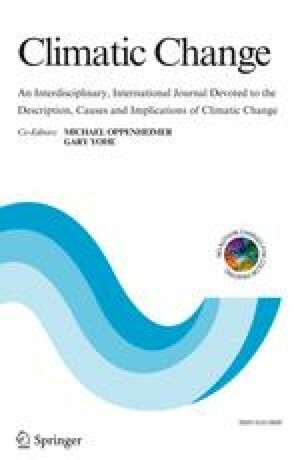 Climate characteristics and their variability have directly as well as indirectly affected the economic competitiveness of citrus producers whose output is in large measure climate-dependent. Climate variability has had direct impacts on Florida's citrus industry by adversely affecting the productivity of citrus groves in some areas, by altering growers' perceptions of freeze probabilities and, occasionally, by suddenly reducing output, thus elevating the price that consumers must pay for that commodity. Indirectly, competition can be affected by climate as a potential producer identifies a weakness in the supply system of an existing industry and seeks to ‘fill the gap’. Brazil's involvement in the toppling of ‘King Citrus’ began not in the early 1980s (as a result of the four freezes in the past six years), but in 1962 as a result of a major freeze in that year, one that sharply increased FCOJ prices by reducing Florida's output. It was then that the climate had an impact on the economic competitiveness of the citrus industry. The records document the steady, almost meteoric, rise in Brazilian FCOJ production and exports. Subsequent freezes only served to abet a process that had been well underway two decades before the recent devastating freezes. As for Florida's ability to continue and perhaps expand its key role in the global citrus economy, the recent freezes do not appear to have fatally damaged that. Rather, those freezes have reawakened Florida's citrus producers to the fact that they are involved in a climate-sensitive industry and have reminded them that the potential for freeze-related problems is never far away. That reawakening has sparked interest in developing hardier citrus varieties, more effective freeze protection methods, and better ways to hedge economically against freeze impacts to the industry.